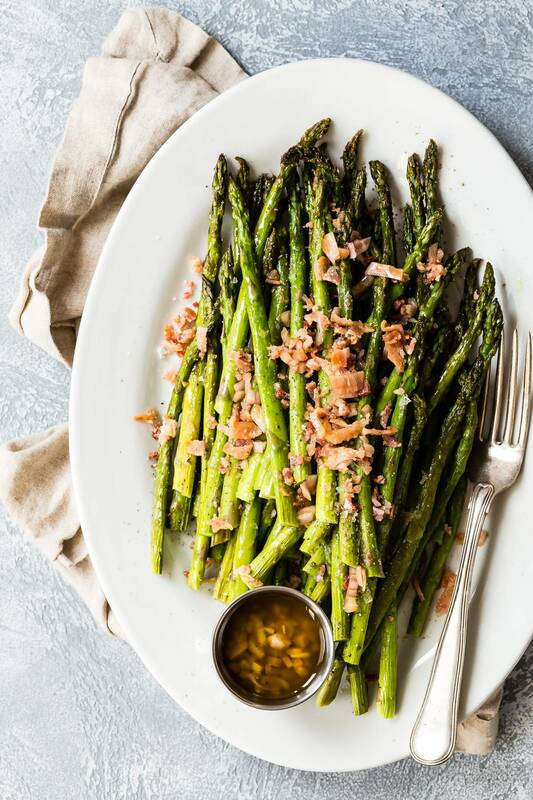 Roasted Asparagus with crispy bacon bits, shallots, and a Dijon mustard vinaigrette! This recipe was a sneaky attempt at trying to get my kids to like asparagus. Sure they eat them, but it’s usually because I’m telling them to have at least two! If it was Brussels sprouts they’d be all over them, which doesn’t make sense because…same color?? Anyway, there’s no real secret apart from that addictive thing called bacon! Yahhh, roasted asparagus covered with crispy bacon bits. 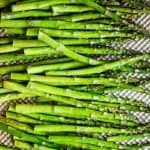 And if that wasn’t enough, a Dijon mustard and shallot vinaigrette can be drizzled over these perfectly roasted asparaguses to finally bring your kids or any other asparagus haters back on board with these awesome green sticks. Roasting asparagus literally takes minutes because any longer and you’ll end up with mushy and sad dark green veggies, and nobody wants that? 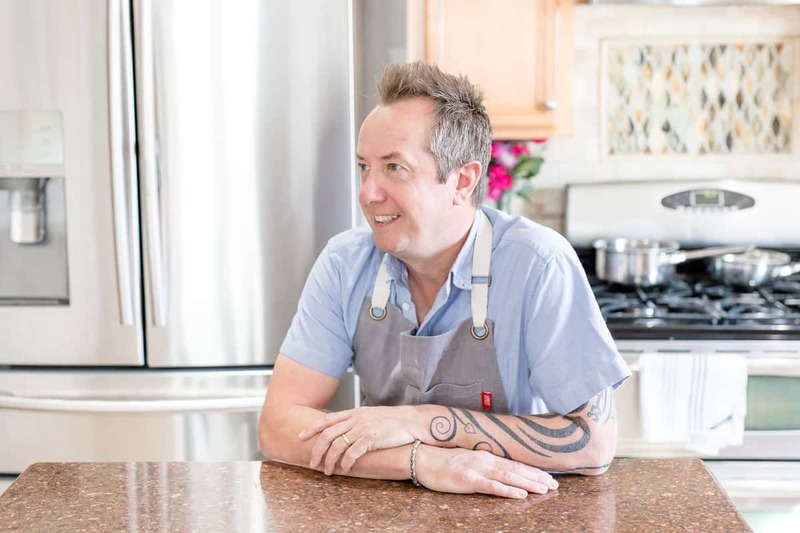 Five minutes in the oven, a quick pan shuffle and then a few minutes more is all it takes to get the perfect asparagus that still has a tiny bit of a bite to them. So if you’re looking for another holiday season side dish, roasted asparagus might be the way to go and if you really want to wow everyone out at the table this year, try purple or white asparagus if you can find them! Tasty roasted asparagus with bacon and a tasty shallot and Dijon mustard dressing. Cook the bacon slices in a pan until crispy and transfer to a paper towel lined plate to drain. Trim the white ends from the base of the asparagus, about 1-2 inches in length. Place the asparagus on a large baking sheet. 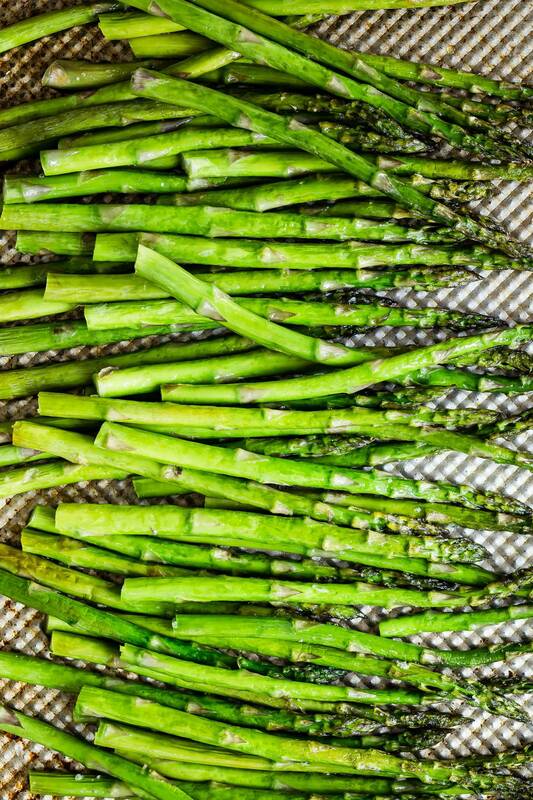 Drizzle the olive oil over the asparagus and season with sea salt and black pepper. After 5 minutes, take the asparagus from the oven and using a pair of tongs gently move them around so they roast evenly. Place back in the oven and roast for another 4-5 minutes. 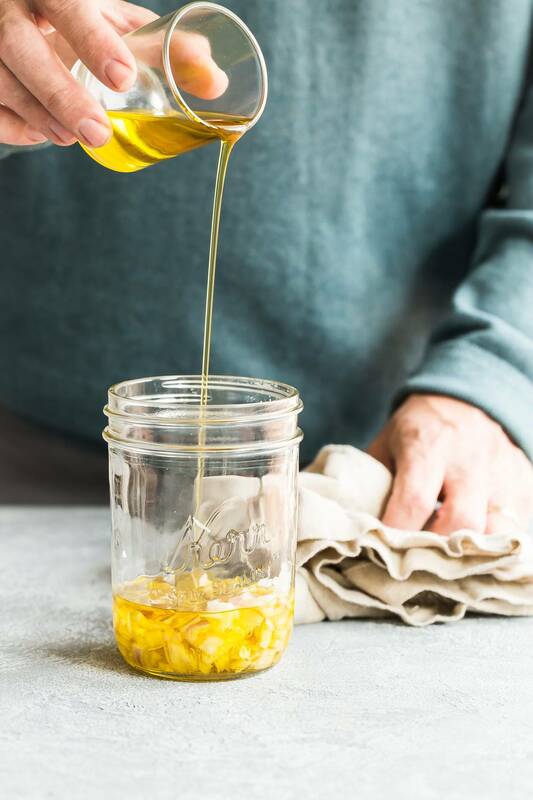 In a jar or bowl combine the remaining 1/4 cup olive oil, diced shallot, balsamic, Dijon mustard and salt and pepper if desired. Chop the cooled bacon slices into fine crumbles. Place the asparagus on a platter and top with the chopped bacon. Spoon some of the dressing over the asparagus and serve at once. Definitely the perfect side dish! Roasted asparagus is the best and adding bacon is always a good move! Bacon and asparagus are meant to be together! Bacon and shallots – oh my! Just when I thought I couldn’t love asparagus any more!! I usually make my asparagus with mushrooms and parmesan but this will definitely be worth a try. And if my family will eat it too… BONUS! Yep, bacon is definitely the way to make those hated kid veggies into something amazing! I know for certain that my kids would love this.